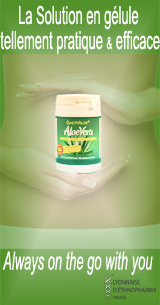 GastrAloe – The Best Aloe Vera in a capsule. Organic aloe vera extract 200:1 - freeze dried. Tasteless, greatest quality, easy to store & bring along. Organically grown in a beautiful site classified and protected by the U.N.E.S.C.O.